Rare opportunity to own approx. 178 feet frontage on beautiful Wilson Creek. 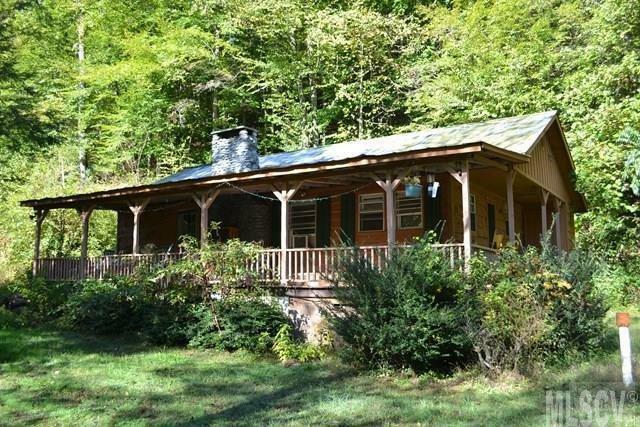 This unique property presently being used as Air B&B and sits on 3.99 acres. Rear of property adjoins National Forest lands. Outdoor activities like hiking, trout or fly fishing or kayaking right outside your front door. This cozy two bedroom, 1 bath home has a rustic feel. Eat-in-kitchen with stove and fridge included. Relax on the front porch or have a picnic by the creek in the gazebo. Additional two story building with 744 on main floor.